Food is essential to life, providing sustenance and comfort, but in space it provides astronauts with even more. Crews bond over meals, finding a sense of normalcy and comradery around their galley table hundreds of miles above Earth. 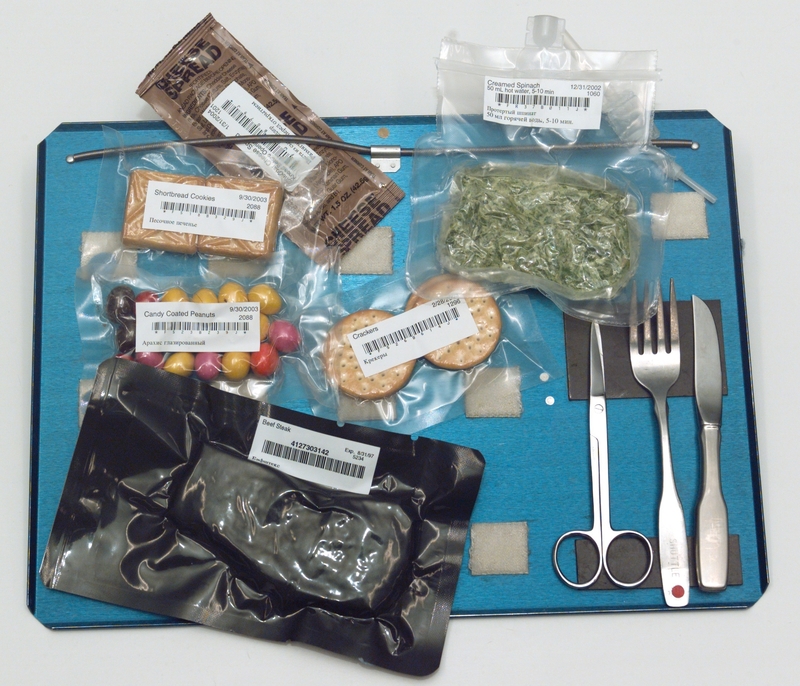 Food in Space: The Evolution of Dining in Orbit traces the development of astronaut cuisine, from the first “tube and cube” selections prepared for the Mercury missions to the gourmet items sent up to the International Space Station today.